If you are in the United States without documentation, with a visa, or even if you are a green card holder, you cannot afford a conviction for driving under the influence. Depending on the details of a DWI conviction, you could be deported. If you are charged with DUI in Orange County or anywhere in southern California, immediately discuss your case and your legal rights with an experienced Orange County DUI defense lawyer. If you are a lawful permanent resident, a misdemeanor DWI conviction probably will not damage your immigration status, but every case is considered individually, so it’s best to consult with an experienced DWI attorney and fight the charge. 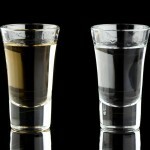 When driving under the influence is linked to a violent felony, the felony – if you’re convicted – will probably trigger deportation proceedings. If you are an immigrant holding a visa with an expiration date, a conviction for driving under the influence will probably make you “inadmissible” and prevent you from obtaining another visa in the future. If you are in the United States without documentation, even a first-offense misdemeanor DUI conviction could potentially keep you from ever acquiring a green card. 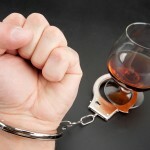 Whether you are or are not a U.S. citizen, a conviction for DWI in California is punishable with jail, fines, probation, a driver’s license suspension, and more. 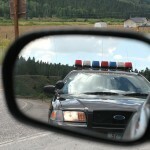 If you’re convicted of a felony DUI – no matter who you are – a lengthy prison term is a real possibility. The good news is that there’s hope. 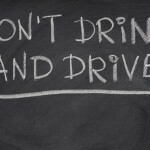 Knowledgeable and experienced DUI lawyers prevail on behalf of their clients quite frequently in southern California. If you are an immigrant, a good DWI lawyer will fight to help you avoid a conviction that could make you a candidate for deportation. If you’re accused of DUI in Orange County, put your case as quickly as possible in the hands of an experienced Orange County DUI defense lawyer.